We are committed to offering pro services unmatched in the region. These are the proven types of services that guarantee you the best possible result whether you are selling or buying property. To guarantee this happens for our clients every time, we work with only the best possible associate agents and arm them with powerful technology, tools and resources. When you list with Cederman Properties, your offer and listing will benefit from the greatest level of exposure possible. We achieve results because of our seasoned expertise, and we invest in promoting your property throughout our marketplace reach in local, regional and global scales. Let us help you find your dream home or the perfect commercial property! 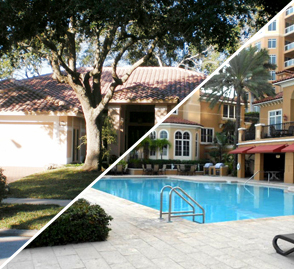 Cederman Properties offers our clients a wide range of services. Our extensive experience with all types of residential and commercial real estate and property management guarantees our clients receive the attention they deserve and the results they demand. Cederman Associates Auction Partnership with Accelerated Real Estate Services (ARES) and our extensive network connections guarantee your property receives maximum exposure. Having an in depth understanding of the real estate market is only the beginning of the advantage our clients gain with Cederman Properties pro services. To get the maximum exposure and fast results you need, we use innovative technology and networking. The power of the Internet and social media is unleashed to its fullest to guarantee maximum exposure for your listings and the greatest choice of investment opportunities for the buyer. Cederman Properties Pro Services marketing technologies include powerful multiple listing services such as MLXchange, List Hub and Announce My Listing. Your offer is fully optimized to get prominent rankings on local search, the networks and major search engines Yahoo, Google and Bing. Then our tech savvy pros take it a step further and put the power of Social Media to work. Your listings are syndicated to rank well on YouTube and HomeTVonDemand. That is just the start of what Cederman pro services can do for you! We make sure your offering is seen around the corner and around the world with international marketing. We will market your property on more than 500 prominent websites in more than a hundred countries and in 19 languages. We do not rest until your listing is seen by buyers at home and abroad. Cederman Properties believes the best approach to success is being proactive. We do not simply put a sign in your yard and wait for the right buyer to appear by magic. Cederman Properties Pro Services work because we begin with a comprehensive and coordinated plan to find the buyer or property that fits your needs best. We offer behind the scenes services specifically designed to ensure your success. Our agents prepare a thorough market analysis and complete cost estimates including closing costs. We will help you set a selling price that reflects the true value of your property and maximizes your profit. Next, we do not stop there! Our marketing savvy agents do a range of off-line marketing activities to get positive response in your local market. Professional quality photographs, flyers, and “Just Listed” direct mail pieces and a sign in your yard announces proudly that here is a high quality piece of property, priced right, and full of extras. Further, Cederman Properties’ Pro Services include keeping you completely involved in the process. We track showings, the reactions of potential buyers; and provide you with a secure email lock box where you can read them at your leisure. You can follow the responses of interested parties both local and from listings with Florida’s 19 Realtor Associations. When a friend or relative shares a great deal or opportunity you are using the power of networking. Cederman Properties takes advantage of this power to help clients get the best deals and prices on residential and commercial property. We work closely with other professional Realtors and Realty Associations in Florida and worldwide to find the properties and potential buyers you need. The shared resources and listing data offer our clients a vastly, expanded range of opportunities and aids to produce positive results faster. Your listing will have international exposure and show on these popular websites. With Real Estate Agents fluent in English, German, French & Greek, we have in depth knowledge and understanding of the local and regional real estate markets. We are here to help you with residential and investment property purchases, as well as property management services. Give us a call today to talk to one of our skilled agents. We can provide you with real estate comps and up-to-the-minute property listings. Our associates are capable and comfortable meeting the diverse needs of our clients from here and abroad. We understand their unique needs and work diligently to not only meet, but also surpass them.